This popular apple oven door towel is now back in stock, but limited to supply on hand. 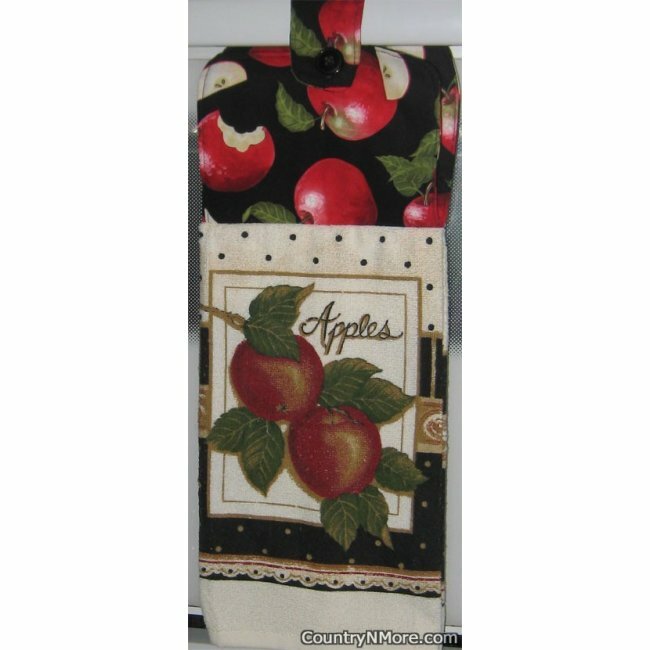 The kitchen towel used for this oven door towel has two scrumptious apples. There are black polka dots set against a two tone background and tan polka dots set against a black background. We used an apple print set against a black background for the fabric top. The combination of the kitchen towel and the fabric top are breathtaking. We use full towels for all of our oven door towels and every oven door towel has a button closure.